Best-selling author speaks at Ortega book club luncheon - The Resident Community News Group, Inc. | The Resident Community News Group, Inc. Through a friendship between a New York Times best-selling author and a former Ortega resident, the Tale Spinners Book Club kicked off its 49th year of endearing friendships, delicious meals and love for reading with a visit from Patti Callahan Henry, author of 14 novels. 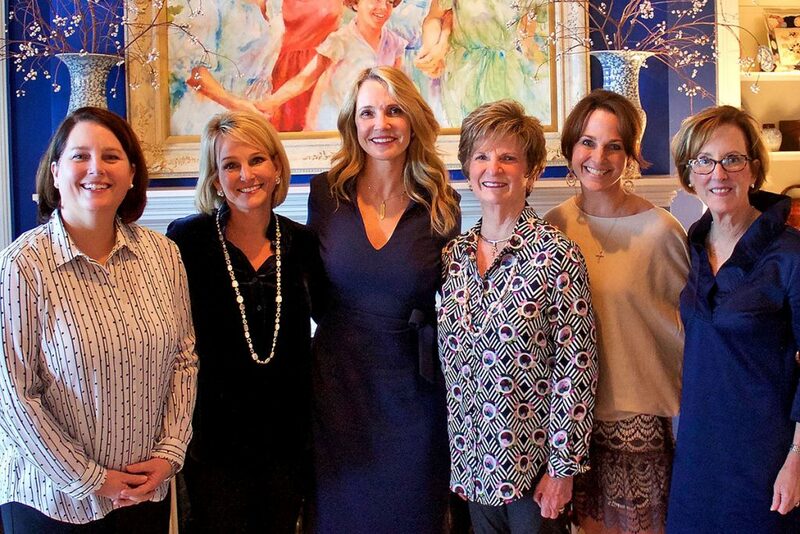 Anis Daley and her four daughters, Muffet Rhyne and Annie Pajcic of Ortega, Cameron Crowe of Birmingham, Alabama, and Susan Hamner of Tuscaloosa, Alabama, hosted a luncheon for 20 members of the book club Jan. 9 with Henry as a special guest. While Henry is on the USA Today bestseller list for “Becoming Mrs. Lewis,” her journey did not start there. She grew up in Philadelphia as the daughter of a Presbyterian minister from whom she learned early the value of storytelling. She attended Auburn University for her undergraduate work, and Georgia State University for her graduate degree. Once a Pediatric Clinical Nurse Specialist, she now writes full-time. The mother of three children and one granddaughter, Henry has homes in Mountain Brook, Alabama and Bluffton, South Carolina. Published in numerous languages, Henry was a finalist in the Townsend Prize for Fiction, an Indie Next Pick, an Okra Pick, and a multiple nominee for the Southern Independent Booksellers Alliance (SIBA) Novel of the Year. Her articles and essays have appeared in Southern Living, PINK, Writer’s Digest, Portico Magazine, Birmingham Magazine and more. She will be introducing her 15th novel, “The Favorite Daughter,” this summer. Crowe made the shrimp-corn chowder served at the luncheon, Rhyne created the floral arrangements of white hydrangeas and “Free Spirit” roses and also coordinated the kitchen with the help of her daughter, Anne Clayton McCaul, and friend, Jay Townsend. “I could not have hosted such a beautiful luncheon without the help of my daughters. From the grocery shopping, flower arranging, kitchen preparation, cooking, serving, greeting, and praying, I was overwhelmed with the blessings of this event. Patti could not have been more engaging and lovelier,” said Daley.